1. Updated user interface elements and layout have been applied for ease and consistency. 2. 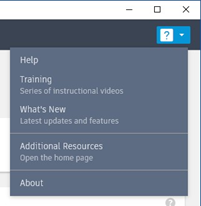 The help fly-outs have new links to multiple resources and are accessible on all the tool’s windows. 3. The “Setup” or “Open” dialog box has been redesigned and applied to all the tools making it easier to understand the functions of each section and easier adoption. 4. 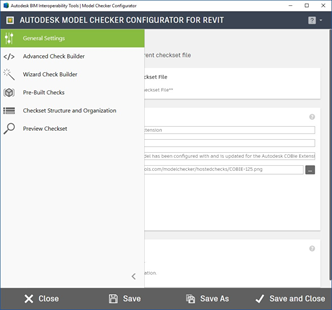 The nomenclature and naming of elements in the Model Checker were thoroughly reviewed and updated to try to avoid confusion between the tools and Revit and to make understanding the structure of checkset easier. 5. 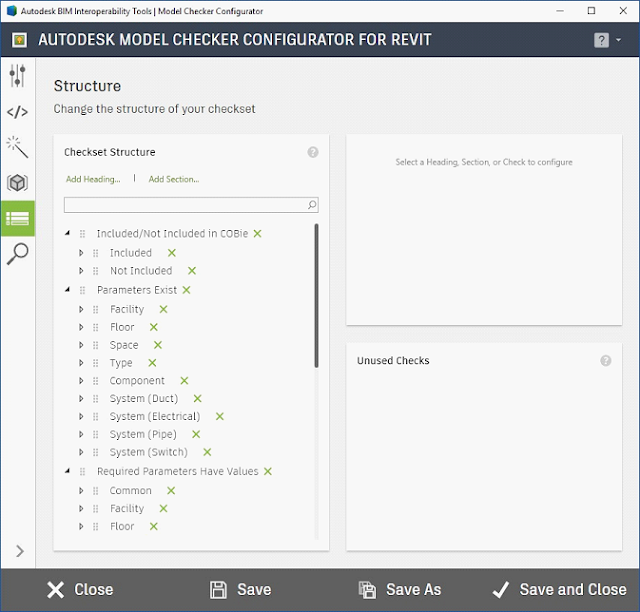 There has been a complete overhaul of interface to make understanding the function of each check and building checkset easier. Instead of all features of the check creation and structure being on a single page, each category of check as well as the check structure has its own dedicated page. 6. A total review of information tracked in the checks and checksets resulted in the removal of redundant and unnecessary data fields, streamlining the check creation process. 7. Added context menus make navigating and updating checksets easier. 8. Wizard check creation workflow has been refined to simplify the process. Browser Organization – list all browser organization types in the model. File Name – checks if the file name matches a defined standard. File Size – reports the file size of the checked Revit model. Imported SKP – will report the number of imported SKP files. Keynotes – list all the keynotes used in the project. Family File Size – reports the families in the project ordered by file size. Legend List – lists the legends currently in the model. Link Method – reports the link method for each link in the model. Linked CAD list – report a list of linked CAD files in the model. Phase Elements – list the number of elements created on each phase of the project. Pinned Links – report any links that are not pinned in place. Project Coordinates – report the coordinates of the survey and project base points, elevation, and true north. Revit Version – report the version and build data of Revit running the check. Shared Parameters File – report the path of the current shared parameters file. Views Not on Sheets – reports the number of views, minus views that can appear on multiple sheets, that are not placed on a sheet. 10. A new “Unused Checks” section has been created to make structuring and organizing the checkset easier. Autodesk Model Checker Configurator is brought to you by Autodesk. It's free. There's more information available on the Autodesk BIM Interoperability Tools website.